We know our fans love our pancakes… but have you tried our Mexican Pancake? It’s got a mix of rice (brown and organic, of course), red peppers, beans, corn, kale, leeks and onions with a little kick from the chilli and garlic! Like our other signature pancake dishes, we always use organic unbleached flour to cook each pancake by hand. 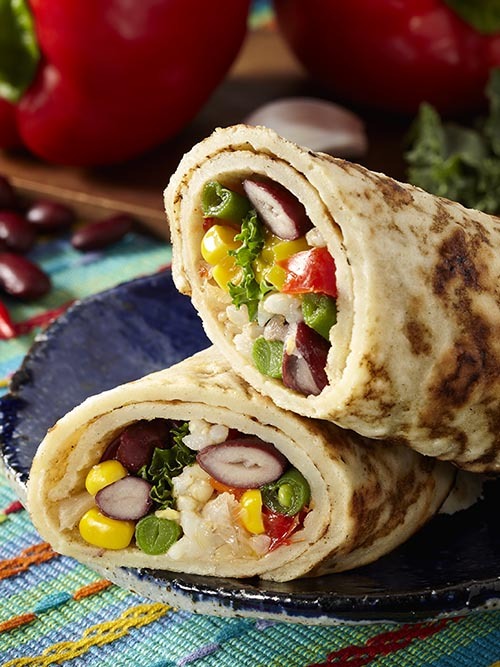 Get this meat-free wrap for lunch or bring it home for dinner and serve it with a green salad. 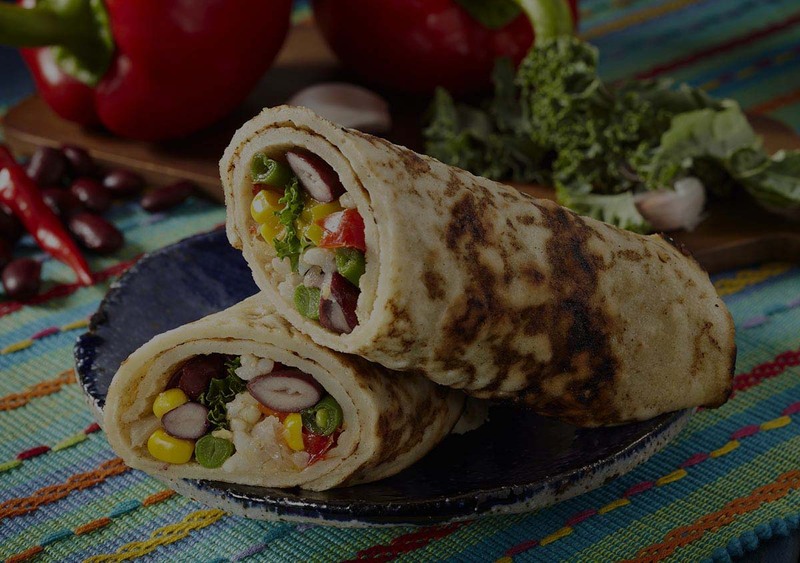 Organic unbleached wheat flour, organic brown rice, onions, leeks, peppers, green beans, red kidney beans, sweet corn, kale, sunflower oil, sea salt, black pepper, chilli, garlic.